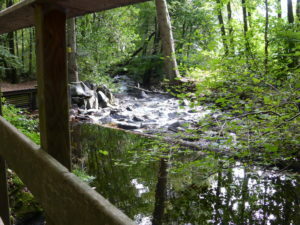 The Nature Park Saar-Hunsrück ( www.naturpark.org ) is very diverse with its vast areas of forest, species-rich meadows, hedgerows, the river and creek valleys, walking ways through the wetlands and the characteristic rock formations. The area has a very rich flora and fauna, among other species, the wild cat still has his habitat here. From the heights of the Hunsrück to the sunny vineyards along the Mosel, Saar, Ruwer and Nahe, this particular natural and cultural landscape offers something for everyone: for nature lovers and sports enthusiasts, cyclists and hikers, as well as for lovers of culinary delights. The Nature Park is over 2,000 km2 large and intersected with hiking, cycling and mountain bike trails. For horse riding you can also choose out of a variety of beautiful trails. There are information centers in six places around the park: Hermeskeil, Weiskirchen, Haus Saargau with farm and herb garden (Wallerfangen-Gisingen), Hunsrückhaus and Activity Center (Erbeskopf) Cloef Atrium (Mettlach) and Wildenburg (Kempfeld). At this last center is also a wildlife park (42 hectares) where you can observe wolves and wild cats. besides lots of native animals like deer and wild boar. And here you can also take a marked trail along celtic and roman excavations or a nature learning path. 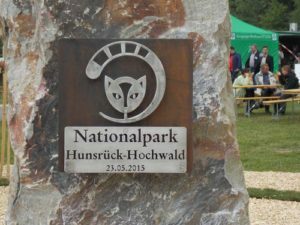 In the middle par t of the Hunsrück nature park is the National Park Hunsrück Hochwald situated, almost 100 km2. 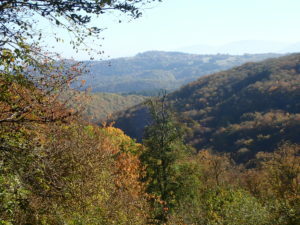 The largest part of the landscape is mountainous with many forests and hidden meadows and wetlands. In this protected environment the black stork and the wild cat are living, together with the other animals as deer, wild boars and lots of small mammals. The highest mountain is the Erbeskopf, 816 m, with a magnificent view point on top of the mountain.